SR Windows & Glass of Chandler has helped set the glazier industry standard for window repair, glass repair and window glass replacement. They serve both the residential and commercial markets. The SR Windows & Glass of Chandler team are expert glaziers who strive to provide the ultimate in customer service, glass repairs, and replacements. As expert glaziers, they have the best tools, techniques, and materials necessary for successful installation and glass repairs. Hiring glass professionals is the best way to ensure your window installation is done to the highest of standards; it can also save you money as the SR team can secure up to 40-percent discounts on windows for full replacement. While there are a number of glass installer and repair companies in the market, SR Windows & Glass of Chandler stands apart from the rest. HomeAdvisor screened and approved, SR Glass is a local family-owned and operated a business that values customer service and building long-term relationships with each and every glass repair and installation. As a local company, SR uses local materials and hires locally. They believe in supporting the community of Chandler, AZ that supports their business, and as such, they will go above and beyond to take the time to ensure that every job is completed to the highest standards of craftsmanship. Why Choose SR Windows & Glass of Chandler? Windows not only enhance the curb appeal of homes and businesses, but they also allow natural light into space and protect against harmful UV rays, insects, and other outdoor elements. Whether you are in need of a window repair or replacement for a home or business, the SR team can help you achieve the look and practicality you are after. Give SR Windows & Glass a call today for your free house/business window repair and installation quote. Whether you are in need of commercial or residential window glass replacement, window repair, or sliding glass door repair, the SR team knows exactly how to meet your needs and exceed your expectations. Window glass replacement is necessary when window glass breaks. In this case, the window frame doesn’t have to be removed; the glass is removed and replaced with new single pane or dual pane glass. The process is known as a ‘re-glaze’ and it is completed by a professional glazier. SR Windows & Glass of Chandler, AZ offers their customers a number of glass options: single-pane window glass, double pane-window glass, tempered glass, laminated glass, and annealed glass. Glass colors and coatings include bronze, clear, low-e, reflective and opaque. Window repair is necessary when you have broken glass, foggy windows or there is condensation between the double panes of glass. Also, hardware elements can fail, preventing the window from sliding or opening easily. 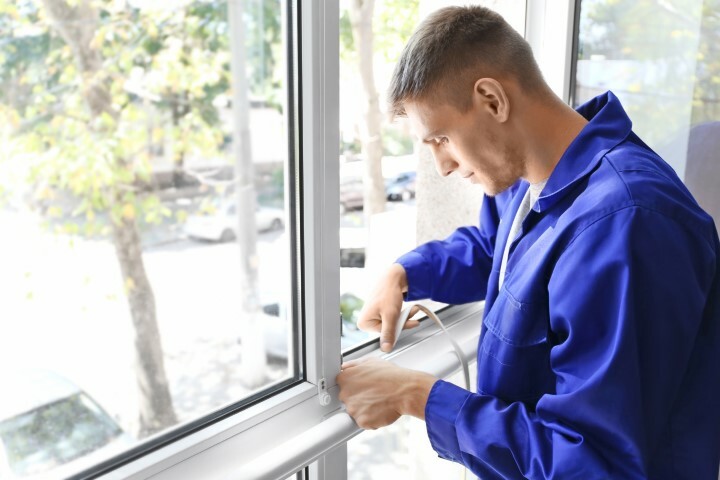 Window repair services include glass repair, hardware repair, window balance replacement for single-hung windows, sash-lock replacement, and windows-roller replacements for sliding windows. 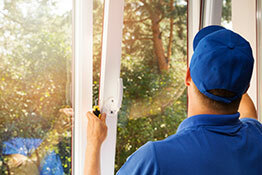 We have one of the most affordable window repair solutions in Chandler, AZ. Sliding glass door repairs include a tempered-glass replacement for both single and dual-pane door glass. It also includes sliding-door roller replacement. We stock single pane and double pane glass in standard door sizes for immediate glass door replacement. 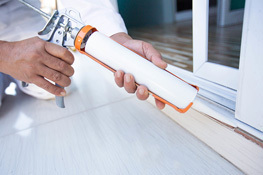 Our technicians carry the most frequently used sliding glass door rollers and track caps to restore the smooth operation of your sliding glass door. This involves full window replacement that includes the full removal of the window frame and a completely new window is installed; this is also called ‘retrofitting’. New windows installed are energy efficient glass with Low-E coatings and bug screens for ultimate comfort. Owners can choose between PVC windows or aluminum windows. Our most popular brands include Milgard, Jeld-Wen, Cascade, PlyGem and Solar Industries. Located in Maricopa County, Chandler, AZ, is one of the main suburbs of the Phoenix, AZ, Metropolitan Statistical Area (MSA). The city shares borders with Gilbert (east), Phoenix (west), Mesa (north), and the Gila River Indian Community (north). The history of Chandler, Arizona dates back to around 1900 when Dr. Alexander John Chandler, a veterinary surgeon, acquired 18,000 acres of land south of Mesa and opened a townsite office in 1912 on the land. What makes the East Valley unique? Events such as the annual Ostrich Festival make Chandler, Arizona, a unique area. Some of the major landmarks in Chandler, AZ, include the A.J. Chandler Park, the Dobson building, the Hotel Chandler building, and the Historic McCullough-Price House. Chandler, AZ, is home to several universities including Chandler-Gilbert Community College, Western International University, Apollo Group subsidiary the University of Phoenix, International Baptist College, Arizona State University Ottawa University, and Chandler University. SR Windows & Glass of Chandler is a local business and we employ people from the area. 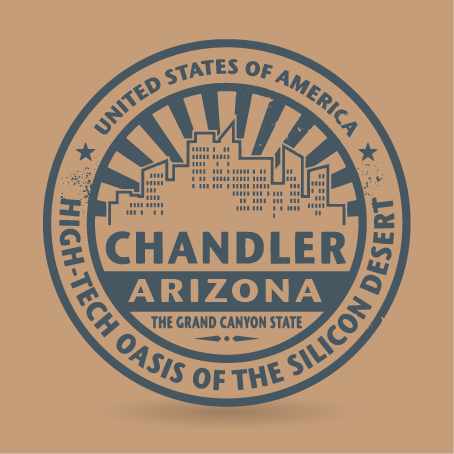 According to the City of Chandler, other major employers in Chandler, AZ, include, among others Intel Corporation, Wells Fargo, Bank of America, City of Chandler, Verizon Wireless, Chandler Unified School District, Chandler Regional Medical Center (Dignity Health), PayPal, Orbital ATK, and Microchip Technology. We have grown to love attending local sporting events and follow sports teams that have a huge fan base in Chandler, AZ, include, among others, Seattle Mariners, Phoenix Suns, Arizona Coyotes, and Arizona Cardinals. We are also local supporters of the Chandler Museum, Chandler Aquatics, Chandler Aquatics, and Chandler Center for the Arts.